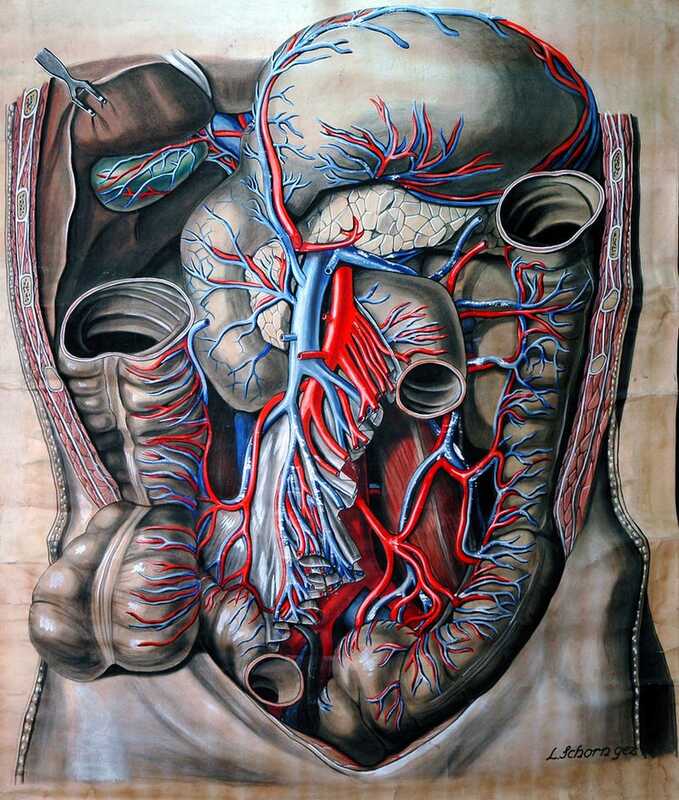 Who knew an illustration of an abdominal cavity could be so beautiful? From a much larger collection of anatomical literature and drawings at Heidelberg University comes this surprisingly beautiful illustration by Elisa Schorn. We've included a few more of our favorite examples below, but you can check out Heidelberg University's full collection of Schorn's and others' work here.